Retained by client in matter involving a failure to diagnose fetal distress in a timely fashion. Infant suffered spastic paraplegia and cerebral palsy. Retained by client in matter involving a failure to warn as to a powdered baby food formula. Infant child suffered dehydration and died. Retained by client in matter involving failure to diagnose a disk compressing the spinal cord in a timely fashion. Plaintiff suffered paraplegia. Retained to represent client in matter wherein a knee orthopedic implant was allegedly defective, resulting in unsuccessful surgery and impairment to the plaintiff. Retained by client in matter alleging defective computer system being used by company for inventory, cash receipts, etc. Plaintiff claimed several million in losses. Retained to represent client in matter involving alleged defective oxygen machine for COPD patient, catching fire and burning house down with death to patient. Retained by client in matter alleging libel and defamation by public officials against other public officials. Retained by client in matter alleging defective orthopedic implant, which allegedly broke and caused the plaintiff to have a nonunion. Retained by client in matter where bad faith to settle was alleged involving an excess verdict in excess of $30 million. Greg is an extremely experienced civil trial lawyer having tried in excess of 75 jury trials to a verdict and having prosecuted and defended multi-million dollar claims on behalf of clients. He is a Fellow in the American College of Trial Lawyers and an Advocate in the American Board of Trial Advocates. Greg practices in the firm’s Litigation section and is a member of the firm’s TIPS (Torts, Insurance and Product Liability) Section. His practice focuses on bad faith, product liability, medical malpractice and personal injury. Greg is a member of the Alabama State Bar, the State Bar of Florida, the Birmingham Bar Association, and the American Board of Trial Advocates (President, Alabama Chapter, 2001). He served as an Alabama State Bar Commissioner for the 10th Judicial Circuit from 2006 – 2015. Greg served as an Adjunct Professor of Law teaching Basic Skills in Trial Advocacy at the Cumberland School of Law from 1990 to 1997. 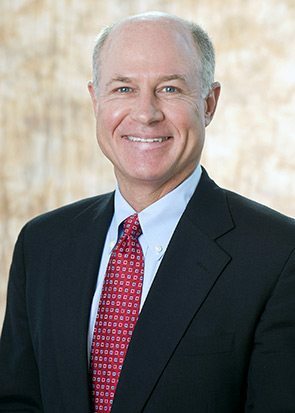 He is also listed in Best Lawyers in America in the area of Commercial Litigation and since 2011 has been selected for inclusion in Super Lawyers in the area Personal Injury Defense: General. In 2012, Greg was inducted as a fellow into the American College of Trial Lawyers.